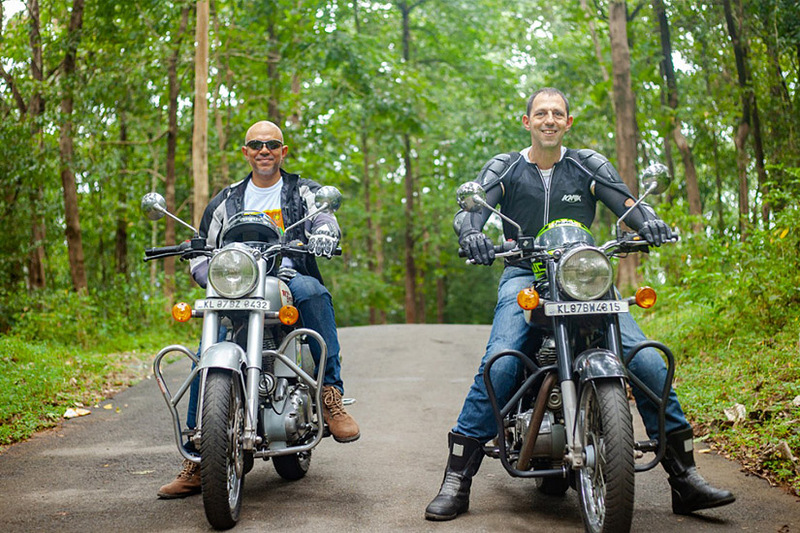 He’s 48 years old ,He 1st came to India in 1992, when he bought his 1st bike in Delhi, a 350cc Enfield Bullet. That’s where his love affair with India, the bike (which he still owns) and the experience began. 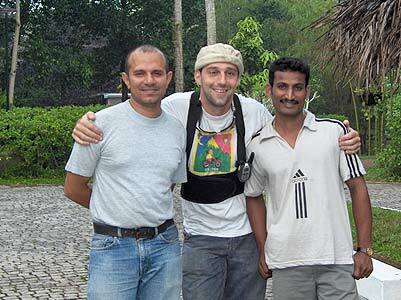 Born out of the desire to share this fantastic experience of motorcycling around the Indian subcontinent Kerala Bike tours was founded in 1999. Now 26 years and more than 200,000kms on from 1st riding his beloved bike, and 19 years since running his 1st tour he wants to continually share this passion with you. They have incredible local knowledge, and the requisite laid back but firm attitude necessary to make either your tour or rental run smoothly. We always travel with a mechanic and a support vehicle driver on tour. Our rental bikes are always fully serviced and checked before being handed over to you. Niaz, Our Operations Manager and support vehicle driver, is the man who makes everything tick on tour and at our base in Kochi. Also Born and Bred in Kochi he has a vast network of contacts,(everybody knows Niaz in Kochi) and huge wealth of local knowledge. For self ride rentals; He’s the man who’ll sort out all the paper work and help with any issues you might have before, during and after your trip. On Tour; He’s always on hand to offer a cold drink, sort out permits, red tape, and any other local ‘difficulties’ with a smile and the right words. And he somehow manages to get our support vehicle through gaps that you’d think only a motorcycle could get through. Ramesh, Locally born and brought up. Our chief mechanic is a real wiz with the spanners. There’s nothing you can teach him about Enfield Bullets, and his insistent attention to detail is what will ensure that your bike will run trouble free. In his spare time he’s part of a very successful team of Snake Boat Racers rowing in the backwaters. Daniel wants you to share the feeling of freedom that he feels every time he gets on to his beloved bike. Above all, an EXPERIENCE for the SENSES, is what he wants you to take away from this adventure. With this in mind the tour routes are meticulously planned to give you as much variety as possible, without being too strenuous. Daniel and his team look forward to welcoming you in Kerala, to join in the creation of an atmosphere of Adventure, Relaxation and Pampered Luxury all in one. We’re also more than happy to share Tour routes with anyone who rents a bike from us. BENSTER'S ADVENTURES & TOURS PVT. LTD.
42/2252 B, St' Benedict Road, Kochi 682018, KERALA, S.INDIA.